Virtually everyone at one time or another experiences tinnitus. The American Tinnitus Association (ATA) www.ata.org is probably the best information resource on this topic. They report that more than 50 million Americans experience tinnitus. Tinnitus can be constant or intermittent. It can sometimes be noticeable mainly at night when it is quiet and there are no other noises to “mask” or cover it. It can occur in one or both ears, or it can seem to be in a person’s head (not the ears). It can be very faint or incredibly loud. Often, people with tinnitus consider it a non-bothersome fact of life or only somewhat bothersome. A number of other people consider it bothersome but can tolerate it. To a small percentage of sufferers, tinnitus can be experienced as tremendously stressful, upsetting, and even debilitating. If you have any of the following symptoms relating to or in addition to your tinnitus, a consultation with your audiologist and/or physician or otolaryngologist (ENT physician) is recommended. If you see a physician first, you will likely be referred to an audiologist for a complete audiologic evaluation. This will help your physician rule out possible causes of your tinnitus. If you have hearing concerns and seek an audiological consultation first, your audiologist will help to determine whether your tinnitus complaints and other ear symptoms warrant referral to an ENT specialist. The exact mechanism by which tinnitus is produced is not fully understood. Tinnitus is a symptom of whatever is causing it. It is not a disease in itself. Some causes of tinnitus can be treated immediately to clear up the tinnitus. Sometimes earwax impaction or an ear infection is the culprit and when these problems are resolved, so is the tinnitus. There are many possible causes of tinnitus. 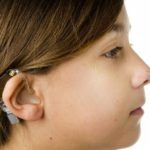 It can be the result of very small changes occurring anywhere in the auditory system or in related body systems that interact with the auditory system such as the nervous and vascular systems.